This makes it the third biggest opener of all time for Warner Bros. in the Indian market and the fourth biggest debut for an English film in India. Also this is higher than any Bollywood movie this weekend. In comparison the original 300 had grossed a decent 2.5 Million Dollar gross (2,582,794) in its whole run in Indian market. 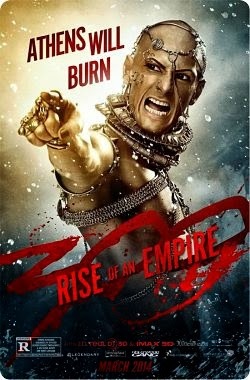 300 rise of an empire was released dubbed in Hindi, Tamil and Telugu along with English version in India and was also released in higher priced IMAX screens. Notably Avatar is the only hollywood movie to have crossed 100 crores in India.